Well done! Definitely gonna share some of these with Santa this year. Thanks for baking up such a delicious recipe for The Sweetest Season! 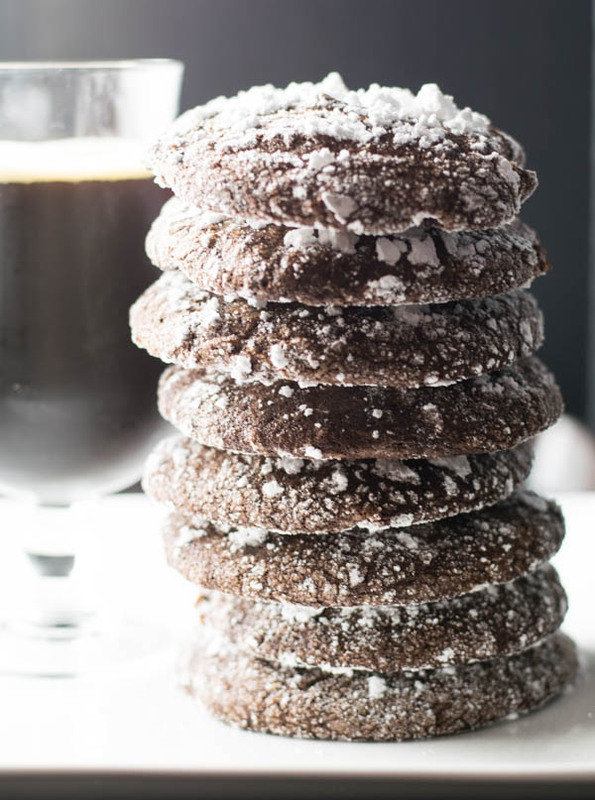 Coffee Porter and cookies on the same title, You are the WINNER of this year cookies exchange by far!!!!! OMGsh!! Rachelle! these cookies sound and look amazing!! Way to go girl!! Cheers! I-can-not-with-this! These are simply amazing, my dear! I love everything you’re doing with beer! Santa’s going to be very happy!! OMG! These cookies!!! All of my fave things packed into one delicious cookie….but you KNOW I’m totally eating at least 6! I’m making these for Christmas. Pinned 🙂 Love it! Holy cow! Now this is definitely a cookie I need to try this season. 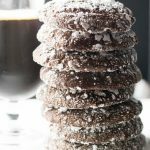 Coffee porter in a chocolate cookie? Yes, please! 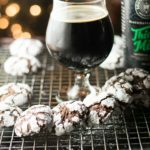 I’d never thought to put beer in cookies, but this combo sounds fantastic! I’m definitely going to pin this to try out later. Andddddd these should be ILLEGAL! 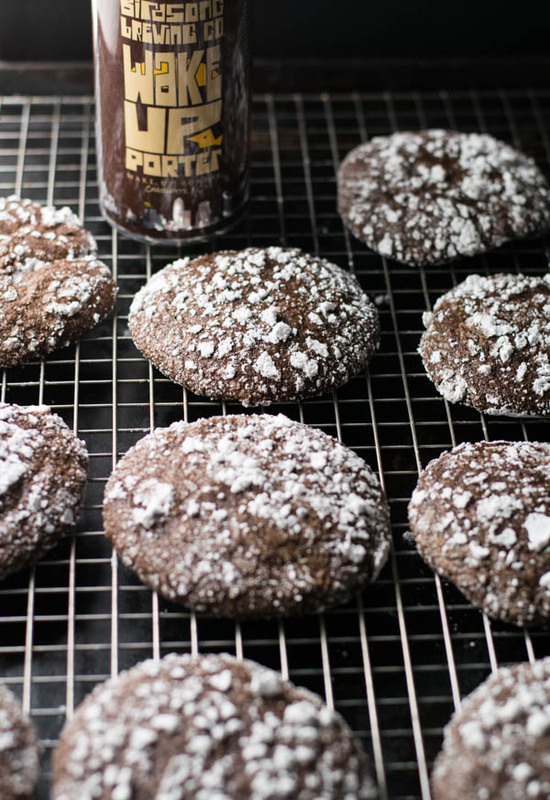 Love the looks of these brownie cookies, Rachelle! I think I could eat the entire batch. So perfect for the holidays! Wow! I bet these beauties are totally packed with flavor Rachelle! And they look sooo pretty too! Getting these on my must bake list! Wow, talk about a cookie of my wildest dreams! 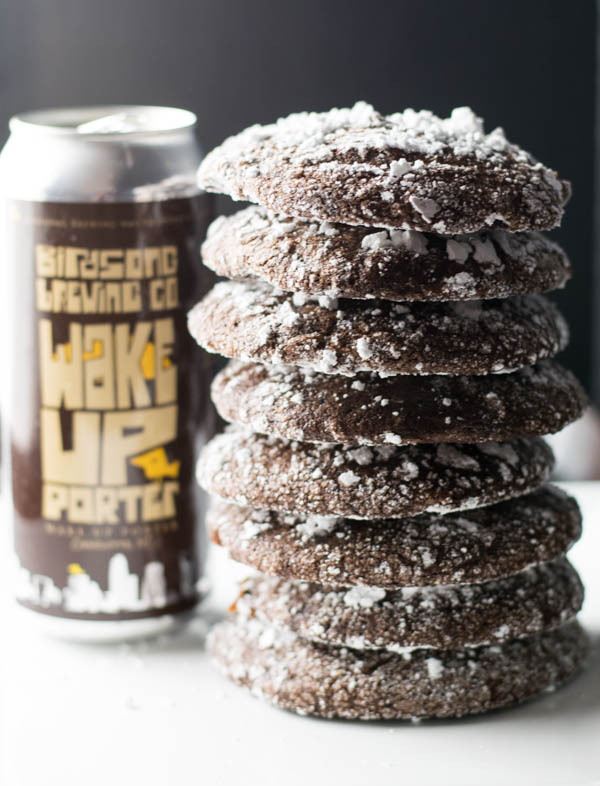 Beer, coffee AND chocolate in BROWNIE COOKIES? Good lord! If these aren’t some epic cookies, I don’t know what is!! Boys going to love these, Rach! Pinned! Cheers!! These brownies cookies look extraordinary, Rachelle. 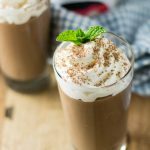 I love the addition of coffee porter beer – perfect for Christmas morning! What a delicious idea! 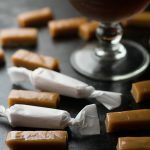 I know my beer and chocolate loving fiance is going to go crazy for these! These cookies look so good, I love how easy this recipe is! Can’t wait to try all the cookies! These sound like just the type of cookie Santa will love. No cookies left on this plate! Great idea! Woww, cookies is my kids’s favorite. I will make it today. Can’t wait to try it :). Thank you for your sharing!!! What a combination! Chocolate and porter go so good together. I love unusual cookies. Can’t wait to make these! YUM! These look so delicious 🙂 Nice job. Am I the only One who can’t see how much baking soda the recipe calls for?? I’m lost its not listed but it’s added in the instructions to add it! Hi Emily! It’s not you, it’s me. I accidentally left it out of the ingredient list. The recipe is updated to include 1/4 teaspoon of baking soda. Thanks for pointing it out! Cheers! Hi Sharon! I’m glad the batter is delicious! It’s definitely more of a brownie type batter than cookie so you should be fine. Chilling it just firmed it up a bit to make it easier to scoop. I’d go with what you’ve got because it sounds perfect! P.S. 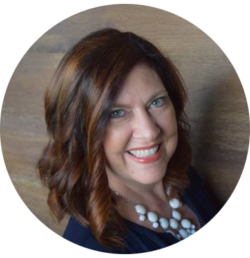 I’d love to hear all about the brewery your husband works for! Good Morning! I hard chilled the dough in the freezer for just a bit to set it a little more, I believe my issue may have been that I doubled the recipe 🙂 The cookies came out GREAT!! 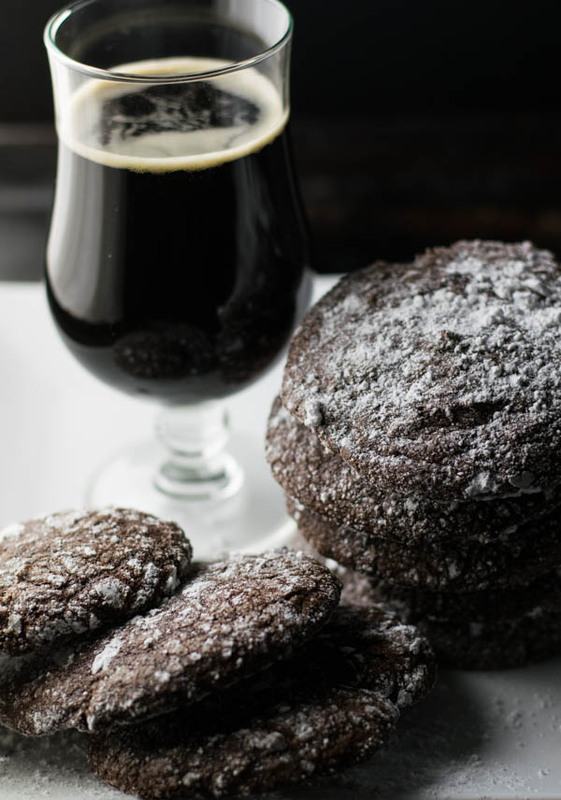 I work for the Eddyline Brewery in Buena Vista Colorado, and I used our 14er Java Stout to make the cookies, I also made an icing from butter, confectioners sugar and more Java Stout to really make the beer flavor POP! They are delicious, I can’t keep the boyfriend out of the cookie jar!!! 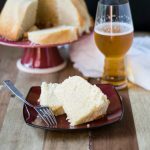 Thanks for sharing this recipe, Beer Girl!! Hi Sharon! I’m so glad it worked for you! Twice as much is always better! Thanks so much for your kind comments. If I ever make it out to Colorado, I’m definitely going to check out Eddyline Brewery. It looks like you may have be so awesome to include a picture of your cookies, but it isn’t showing up. 🙁 I would absolutely love to see your finished product and that java stout icing sounds like something I could just eat with a spoon! 🙂 Cheers!